In Japan, new businesses are being actively born through collaboration with overseas entities. For more innovation, global networking is an indispensable condition. Therefore, let’s take a look at the global networks between Fukuoka City and foreign cities. Recently, in Japan, companies and local governments are actively engaged in business creation activities utilizing the “open innovation” method. According to Henry W. Chesbrough, the creator of this term, ” Open innovation is “a paradigm that assumes that firms can and should use external ideas as well as internal ideas, and internal and external paths to market, as the firms look to advance their technology” (Henry Chesbrough, “Open Innovation: The New Imperative for Creating and Profiting from Technology (2006)”). In 2015, the Open Innovation Council (JOIC) was established with the members of the New Energy and Industrial Technology Development Organization (NEDO) under the jurisdiction of the Ministry of Economy, Trade and Industry as secretariats. With the establishment of this council, domestic “open innovation” is accelerating further. According to “Open Innovation White Paper First Edition (July 2016) – in Japanese” issued by JOIC and NEDO, the ratio of companies with cooperation experience with domestic venture companies was 26.6% among all, but 56.8%, more than twice that number, said that they would like to promote collaboration with venture companies in the future. In the future, there seems to be the high possibility of creating innovation through collaboration between large companies and venture companies. In addition, the ratio of companies with cooperation experience with overseas venture companies was 16.2%, whereas 40.1%, which is about 2.5 times the size, showed an intention to collaborate in the future. Among Japanese companies, the intention to incorporate ideas and technologies not only from within Japan but also from overseas and develop new businesses is seemingly increasing. There are many voices that the project does not last long if “open innovation” strategy is implemented just because it is a buzzword. However, taking the challenge of “open innovation” as a trigger, decision making of major Japanese companies opening up to venture-backed companies in Japan and abroad is a major step toward global business development. As an example of cooperation between overseas venture-backed companies and Japanese companies, there is a coffee roasting service called “The Roast,” that Panasonic Corporation announced its start in January 2017. This service consists of a set of three steps; (1) delivery of green coffee beans, (2) roasting profiles (setting condition of roasting) optimized to each bean, (3) the roaster operated with the application of the smartphone. This roaster was developed via a technical alliance with the UK startup IKAWA. By choosing to collaborate with external startups rather than in-house development, they could shorten the development period of the new product by more than a half of usual time (British Embassy Tokyo, Department for International Trade; https://www.innovationisgreat-jp.com/blog/panasonic-ikawa-collaboration-the-roast/ – in Japanese). This case illustrates cooperation with foreign countries is an important means in creating innovation. Due to the evolution of information and communication technology (ICT) and the development of transportation means, the transfer of people, goods and information between cities in Japan and overseas has become easier than before. As inter-city exchanges become active, it is expected that new innovation will take place regardless of national borders. From the viewpoint of innovation, the global networks of a city reinforce the function of the city. 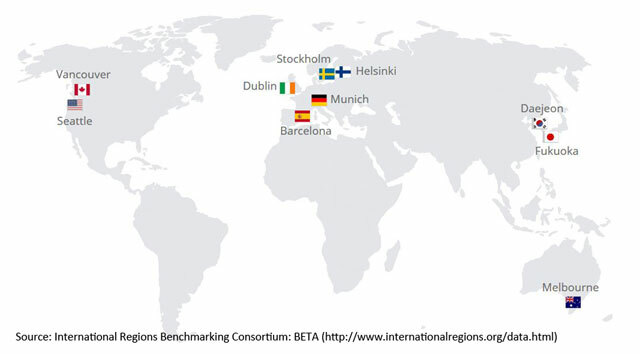 Since Fukuoka City is a member of the “International Regions Benchmarking Consortium (IRBC)” (*), one can say it is a city with the global networks and efforts are made to create innovation taking advantage of its strengths. Let’s look into some specific efforts. *IRBC is an international city-to-city network that was established in September 2008 by the call of Seattle (USA) and the cities from ten regions of the world with similarity in urban scale and economic characteristics participate. It offers the cities opportunities for mutual learning through data collection and comparative analysis on urban areas and for sharing urban problems and successful efforts. It also serves as a contact point for administrative, economic entities and universities of member cities. Fukuoka City declared the “Startup City Fukuoka” in 2012, and since the city was selected as a “Special Zone for Global Startups and Job Creation” in 2014, the city has been actively working on startup related programs. The reason why Fukuoka City focused on startups dates back to May 2011, when Mayor Takashima of Fukuoka City participated in the IRBC International Conference held in Vancouver (Canada) and visited Seattle (USA), a mecca for startups. 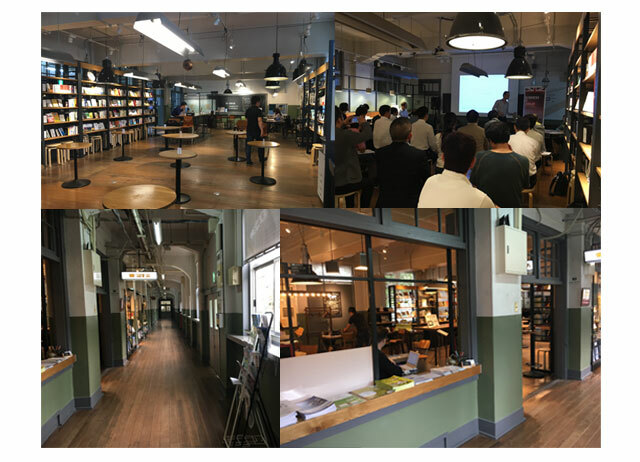 (http://thebridge.jp/2014/10/fukuoka-startupcafe-openingtalksession – in Japanese) (https://forbesjapan.com/articles/detail/16740 – in Japanese). From 2016, as part of “environment creation for startups with a global perspective” (Fukuoka City “Fukuoka Special Zone Report Vol. 6” – in Japanese), networking with overseas startup bases is strengthened. 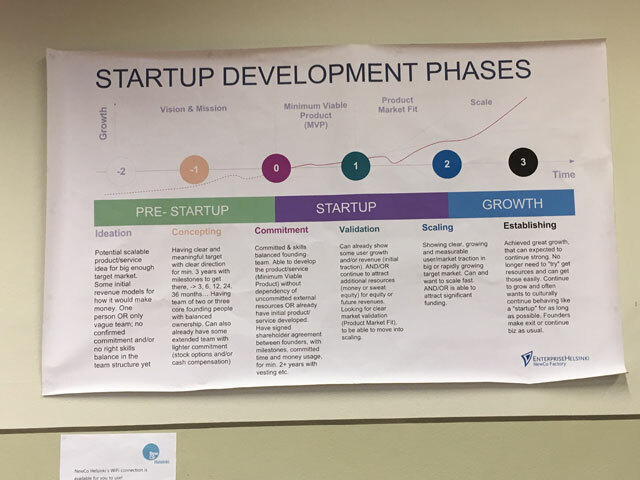 Specifically speaking, the creation of platforms for mutual cooperation is promoted, such as mutual use of startup support facilities and startup counseling on site. As of today, intercity MoUs have been established with Helsinki (Finland), Estonia, Taipei (Taiwan), Bordeaux (France), Auckland (New Zealand), Singapore, and cooperation with startup support facilities in San Francisco (USA) and Taiwan has been initiated (http://startup.fukuoka.jp/global-network). In particular, with the city of Helsinki, Fukuoka City has established a “Memorandum on Mutual Cooperation between Fukuoka City and Helsinki City” and an “Agreement on Startup Exchange Project” as a result of the already existing connection of IRBC (Refer to the column for the details of the startup support facility). The main bases of “Agreement on start-up exchange project” established between Fukuoka City and Helsinki City in December 2016 are “Fukuoka City Startup Cafe” of Fukuoka City and “NewCo Helsinki” of Helsinki City. Helsinki City has three major public startup support facilities including this one. The governing organizations of each facility are composed of different entities such as the local government, university, and private sector, but the characteristic is that the role of each facility is designed for each phase of startup. ①”Helsinki Think Company” for fostering entrepreneurship, ②”NewCo Helsinki” that aims to help form startups that can secure angel funding by developing business teams utilizing co-working and shared offices, and ③”Maria 0-1” that aims to help startups on the right track further expand its business while conscious of fund raising and buyout, offer startup support in accordance with the growth stage. Finland, where Helsinki city is located, is a small country with a population of about 5.5 million and nominal GDP of 239.1 billion dollars. However, Sweden, its neighboring country, has nearly twice the population and GDP (population 10 million, GDP 492.6 billion dollars), and by utilizing the benefits from international collaboration, Finland has made its distinctive education system and startup ecosystem (Refer to Ministry of Foreign Affairs website for figures of Finland and Sweden). Although the population of Finland is about the same as Fukuoka Prefecture and Sweden is also a small country with a smaller population than Kyushu as a whole, and both of them are located in the edge of the EU zone, they are maintaining strong economic power and the driving force is innovation. In 2012 and 2013, the “Fukuoka Directive Council (Fukuoka D.C.)” (*1) participated in “Living Labs Global Award (LLGA)” sponsored by Citymart“. Citymart, with its headquarters in Barcelona City (Spain), is a company promoting the introduction of innovative solutions for urban issues to improve the quality of life for citizens, and to improve the cost effectiveness of the public services and to revitalize the regional economy by creating new markets as its results. Mr. Hazelmeier, the founder, founded an NGO called Living Labs Global in 2003 and has been involved with similar activities, but in 2011 he founded Citymart, and is promoting projects in cooperation with many cities and organizations around the world. LLGA is a project in which each city in the world publishes issues relating to urban development, makes public offerings to companies providing solutions around the world, and matches them. During the five year period from 2010 to 2014, Citymart matched 42 cities and 1,200 companies through this project and carried out more than 30 leading projects for urban development (*2). *1) A think-and-do tank that performs from development of growth plans of the Fukuoka Region to implementation of it. *2) According to the selection result of the solicited public offering, 95% of the winners are SMEs which are not easy to bid for public offerings. For them, it is an opportunity to apply for recruitment of solutions in foreign cities and to create achievements and networking. 30 entries from around the world such as the United States, Canada, the UK, France, Poland, the Netherlands, Portugal, Belgium, etc. arrived for Fukuoka D.C.’s published issue “Smart International Conference Venue (MICE)” in 2013. 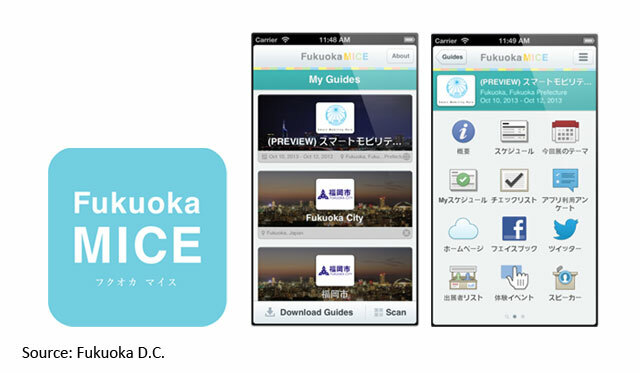 The Guidebook, a solution by Guidebook Inc. of the United States was chosen as the best award, and consequently, “Fukuoka MICE Application” was developed and a social experiment was conducted to grasp the usage trend of participants of the international event “Smart Mobility Asia 2013 – in Japanese” under the cooperation of the Fukuoka regional community including Fukuoka City. In this way, the cooperation between Fukuoka City and overseas were further strengthened through trials to “resolve issues for urban development”, and as part of the startup support measures of Fukuoka City, the city could assess the necessity of accepting social experiments (referred to Fukuoka D.C.).